Fifteen athletes will receive 40 points on top of their Leaving Cert results. FIFTEEN HIGH LEVEL athletes will be offered bonus CAO points for courses at NUI Galway. The scheme announced yesterday will see elite athletes given 40 extra points as they apply for courses. The plan is an extension of the university’s Elite Athlete Scholarship scheme which includes a subsistence grant, performance supports, gym membership and medical support. It will only serve those under 21 who are applying for undergraduate courses who meet strict criteria in a number of identified sports. The points will be added to a minimum requirement of 350 points from a single sitting of the Leaving Certificate in six subjects. President of NUI Galway, Dr Jim Browne said that the scheme will support athletes in their learning. 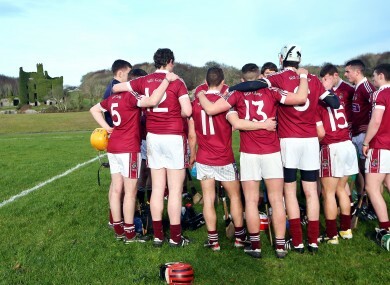 “NUI Galway has a long and proud tradition of sporting success. Our success has fuelled our ambition. Ireland rugby player Robbie Henshaw is a second year arts student at NUIG, he says that the supports offered can be vital. Performing at the highest level means you can’t take your eye of the ball, so it’s great to see NUI Galway rewarding elite athletes for their dedication through this scheme. Email “NUI Galway to offer extra CAO points to elite athletes”. Feedback on “NUI Galway to offer extra CAO points to elite athletes”.